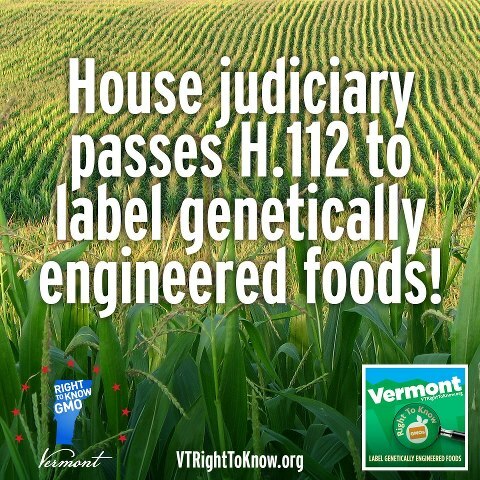 Yesterday VT Right To Know GMOs labeling bill, H.112 was passed by the judiciary committee 7-4. It will now go to the floor of representatives for a full vote. All seven of the votes in favor of the bill came from Democrats, while the committee’s three Republicans and one Independent were against the bill. This entry was posted in News and tagged GMO labeling, H.112, Vermont by Michael Kinnaird. Bookmark the permalink.